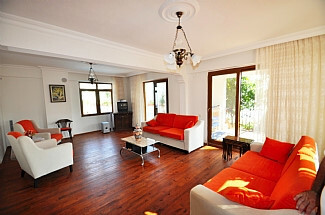 This property is a large town villa, suitable for up to ten guests, and is tastefully decorated with wooden floors throughout. 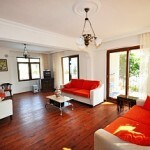 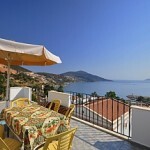 It is located in the heart of Kalkan, and is situated just a 2 minute walk from the local beach. 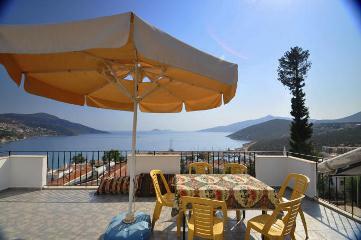 With its central location, and with superb roof terrace views across Kalkan, this is a fantastic villa to stay in. 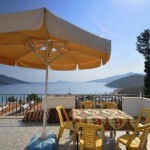 Despite its central location there is ample parking outside of the property for those guests who wish to hire a car to visit places around Kalkan. 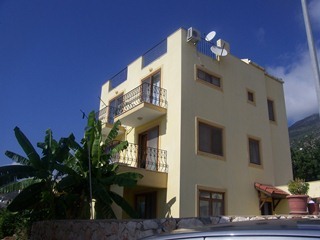 Situated over 3 floors, the ground floor of the property hosts the living areas of the villa – with the bedrooms situated on the upper two floors … and a roof terrace atop the building, offering virtually 360 degree views across the town, and out to Kalkan bay. 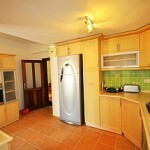 Prices start from £950 per week. 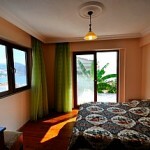 The villa is cleaned weekly, with fresh linen and bedding. 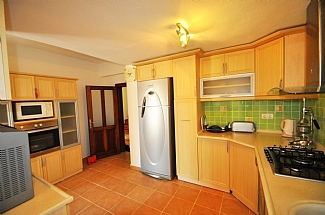 The villa is on a self-catering basis, with local supermarkets selling all sorts of produce just a 4 minute walk away from the property. 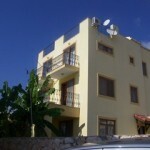 The larger supermarkets within Kalkan offer a shopping delivery service to the villa. 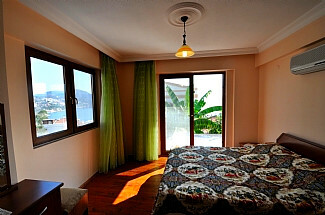 The villa comfortably sleeps 10 people.